This textbook is excellent, it is the basic, number one point of starting the journey into the device world. Clear, concise, written as it shuold be done. To someone this book will seem to be very simple, not enough details coverd and not many devices like SET or SOI. To other people this textbook will seem to be extremely difficult, impossible to read, confusing, full of theories that cannot be understood. Somebody even wrote here that you will need a PhD in order to read and learn from this book. I have no words guys, where the hell we can find things done more simply than this. When someone see that it dates back to 1996, probably it will say , why the hell i'm going to buy an old book from the "past millenium". Its true, after 13 years or relentless progress, in 2009 semiconductor devices have entered in the nanoelectronics era and maybe a more recent texbook is the right choice. Rest assured that in 13 years many changes occurred, but what remains unchanged are the FUNDAMENTALS. This is a book about FUNDAMENTALS, and they will be with us forever. Progress is visible in applications, or better technologies and better understanding of the fundamentals. Fundamental Principles remain the same. Quantum Mechanics is more than a century old science, but this does not mean that its too old now to be used in the "modern era" of computers, ipod or such other devices. What are we experiencing today is the vital applications of the quantum theories of a century ago. Nothing will change even in the future about Energy Bands, Solid state devices in 2050 will still be explained using energy bands. The Bloch theory on Energy Bands will remain the same, energy quantization is the same as it was experinced by Planck a century ago and so will remain. Maybe 200 years from now we will use light instead of electrons and photonics will become prevalent over electronics, but the fundamentals, such as diffraction will be with us forever. So think again if you consider this book too old. Excellent writing style, efficent text layout, and the most important it stresses on energy bands of devices. There is no way to fully understand solid state structures if you cannot draw energy bands. Robert Pierret has, arguably, written the best introductory textbook for learning about semiconductor devices. His book grinds out and explains many of the details that a first-timer should learn. In a sense, he holds your hand through the material and does a very good job of it. 1) Coverage of the basic physics and equations that model carrier statistics and transport. Use of the equations of state in several different scenarios. 2) Explanation of carrier flow in a p-n junction. 3) Derivation of BJT current equations. 4) Discussion of modern MOSFET effects. 5) Figures used for explanations. 6) Use of computational methods for calculations. 2) Better explanation of BJT operation. 3) Discussion of interesting devices (not that MOSFETs and BJTs aren't!). This is perfect for an introductory book for undergraduates. For more advanced readings, I would consult Streetman or Sze. Streetman addresses the lacking elements of this text. Streetman also has a guided learning section at the end of each chapter with answers to conceptual problems. Pierret, instead, has mostly worked calculation problems scattered throughout the chapters. 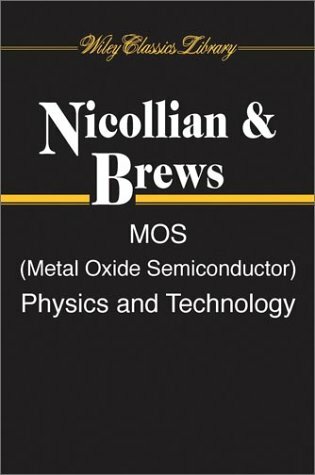 This Books provides a good idea in Semiconductor material for Physics Major students and Engineering students. This explains about solid state physics. We use it as our textbook for an undergraduate course at Carnegie Mellon University. This book is fundamental enough. Once you are patient enough to read it, you will get a lot. It teaches concepts step by step, very good for beginners! This is a very readable book that provides an excellent overview of the semiconductor industry. It avoids a lot of technical jargon in discussing a very technical industry. Jim Turley's book, The Essential Guide to Semiconductors, is a GREAT read for anyone interested in learning about the building block technologies that power so much of our world. 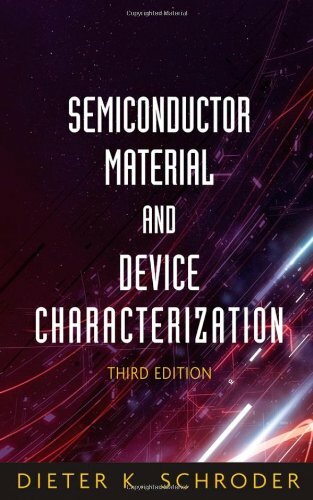 The book offers a truly comprehensive overview of semiconductors, encompassing easy to understand, "byte-sized" technology definitions and interesting chapters regarding the evolution of semiconductor design and manufacturing. Turley also presents interesting big picture perspectives of global market trends, supported by recent data. The reader is guided through the evolution of semiconductor technology, from component parts to integrated circuit technology with relevant concepts explained along the way. What makes the book especially enjoyable is Turley's insider perspective which allows him to make humorous anecdotal observations. All text is well-organized and clearly written. Graphics aid in understanding. Overall, the book offers a solid foundation of knowledge for the non-technical reader and can also be used as an up-to-date refresher course for seasoned practitioners and engineers. Simple, easy to read and to understand, good pictures at appropriate places to help you visualize the details. This is a great book for first time semiconductor lovers. The author takes you through a time line of the semiconductor industry and also talks about the industry trends etc. The books talks about semiconductor components and its functions in an "easy to understand" format. 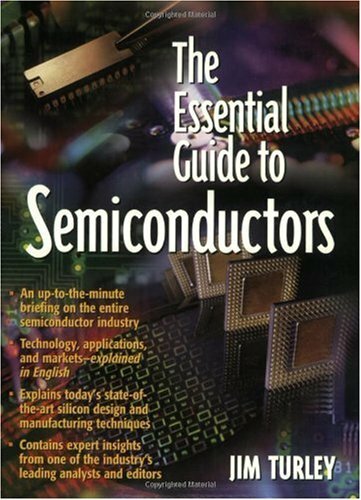 It's a good read especially if you are new to the semiconductor industry and want to get a good understanding of the industry. Should be called 'The Coffee Table Overview to the Semiconductor Market'! It talked more about people who make them than how to make them. book is brand new with low price. 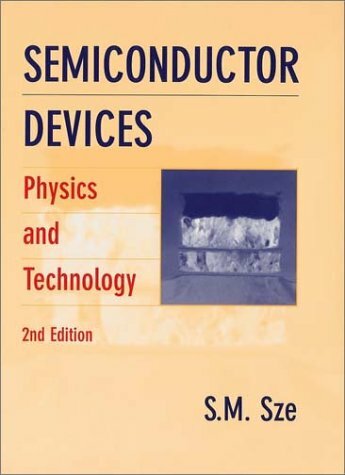 This is such a valuable overview and basic reference book for the physics of semiconductor devices.I know of no better book for clarity, organization of material and basic-thoroughness, covering so many diffent devices. A thorough and excellent reference. This book is a great starting point when trying to learn more about a specific topic.It is by no means a text book, but it has its place as an excellent reference.I always find a good path to follow when I start from this book in my research. 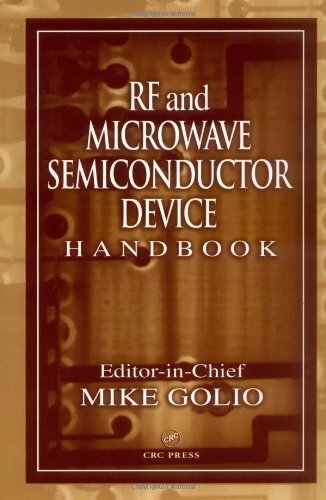 I have used this book for two of my graduate level semiconductor courses. We use chapter 1 to chapter 6 extensively. It is a great book to have because you can find everything you need on the fundamentals. However, if you do not have any backgrounds in semiconductor this is probably not the book for you. This is an essential text for engineers, scientists, and graduate students working in the semiconductor field.It contains a thorough review of all major electrical, optical, and physical characterization methods that are commonly used.Descriptions of techniques are generally conceptually oriented, clearly stated, and do not rely excessively on equations.In addition, many useful figures are included to help explain concepts when introduced.Up to date references are included for essentially every technique mentioned. 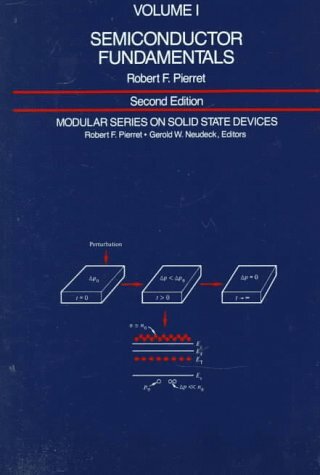 Schroder has compiled an extensive and very nearly complete guide to modern characterization techniques that apply mostly to semiconductors and solid state devices, but also to techniques used in general materials analysis.We used this text in a graduate level course in EE and found it easy to read through and concise for use as a quick reference.Well worth the money. This is a really good introduction to the physics of semiconductor devices. It starts right from the basics of molecular structure and quantum mechanics and builds up from there. The only prerequisites needed are high school physics and chemistry, first-year calculus (second-year would help, but definitely isn't necessary), and basic knowledge of electronic circuits (knowledge of how diodes and transistors work in a circuit is not at all necessary). In general this book proceeds in a logical fashion, neither too fast nor too slow. Sufficient detail is given to understand the topics quite fully, yet the reader isn't overwhelmed by detail. Important equations and results are highlighted and sections are divided and organized well. Many examples are given as well as problems after each section with answers provided (but no worked-through solutions). Chapter summaries are among the best I've ever seen in a textbook, and they are supplemented with a Definitions section and Checkpoint section (which is a list of questions meant to make the reader think about the chapter). Something I don't like about the book is that it emphasizes "plug-and-chug" in most of its problems and examples. By this I mean that all that is needed to solve the problem is to find the right equation, put in the numbers, and produce a solution, often without much thought involved at all. Very few problems require a strong understanding of the material, and actually most would be quite possible for someone who knows nothing about the material by just making an educated guess as to which equation in the chapter would be needed to solve a particular problem. I would recommend this book for a 1st- or 2nd-year physics or electronics engineering student, but mostly only if the student intends to pursue a career designing semiconductors at the physical level or researching them. For all other electronics, electrical, and computer engineers this book is slightly overkill and most engineers will probably never have to deal with the material that is covers. But, those engineers would probably find the material in this book interesting nevertheless. Got the international edition. Same content so far, but not the hardback i'd expected. Good price though! I own five different books on semiconductor physics and this text is by far the best. I've also references a sixth book. I understand the other reviewers complaints but I think this is a weakness of all semiconductor books or proof of just how complicated device physics can get. It helps to have an instructor step you through a lot of the derivations to make you understand the equations. I like this book because it explains concepts very well. Making use of the equations and knowing when to make assumptions just comes with practice. I've found a few mistakes but far fewer than some of the other books I've seen. My advice to students studying semiconductors is to go to the library and get as many books as you can. Assuming you have already read the previous (rather low) reviews on here, my own review may seem like overkill, but I feel that I must express just how bad Neamen's book is at explaining the material. Most other reviewers have already covered the important points, so I'll just develop on two that I find particularly unsettling (after wasting several hours trying to see how the author arrived at the solution for ONE problem in his book):How is anyone supposed to figure out the many assumptions this guy makes when he makes no mention of them anywhere else?Also, how is anyone supposed to know what equations to use in what problems? So far I've found that all the answers in the back of the book have been correct, however the problem is that the reader has to first figure out what equation(s) to use, which is why I'd imagine that many readers believe the answers to be incorrect.In terms of what the author explains, there are (presumably) several ways of obtaining the same answer, but for some reason this is not the case, given that your answer will often be different depending on what equation you use.Assuming the author is even correct in using the formulas he uses, he offers no explanation as to why one equation should be used in one situation but not in another. Also, this book makes entirely too many assumptions and offers no explanation as to where they come from.Case in point:Problem 1 of Chapter 5 asks the reader to determine the drift current density in a semiconductor material under a certain set of conditions.Well, this is all fine and dandy, except for the fact that the author provides an in-book example IDENTICAL to the problem in which the answer is DIFFERENT.So why do the example and problem answers differ?Because Neamen (in the problem)apparently arbitrarily assumed a different value for electron mobility in said semiconductor material, yet he did not not explain why this different value was assumed in the first place, nor did he offer any clear explanation as to how to determine the supposedly correct electron mobility. In summary, this book would be somewhat decent if the author spent more time explaining the material more clearly.As it stands, there are simply too many assumptions made and too few explanations for them, making this book a very poor source of information. Worst book I have come across in my college career. My only D EVER is from a professor that tried to follow this book. Many of his printed solutions to the problems in this book are vague with "Trial and Error" that yield no reasoning to how the problems should be solved. A great introductory overview of the principles and practise. 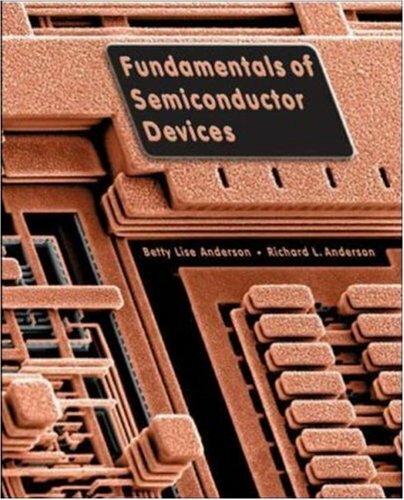 This book, in spite of its age (2001 era) remains a great introductory overview of the principles and practise of semiconductor device engineering.The clarity and thoroughness of each basic topic are un-surpassed in competitor books. 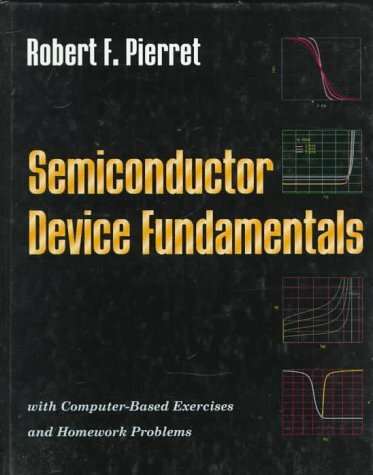 I started using this book for my undergraduate course in semiconductor technology, and I believe I would have failed the exam if I relied solely on it. Let me explain: the exposition is really exciting and consistent, but if you were interested in the physics side of the phenomena in semiconductors and semiconductor devices, you'd be left wanting for more. "Just when it was getting interesting", you are left with a few paragraphs that just aren't there. If you are the least scientifically curious, this will most likely frustrate you (it is also a credit to Sze as a scientific author, as he made you actually want to know more, through his systematic exposition). I found that even the very old cornerstone book "Electrons and Holes in Semiconductors" by Shockley, gives more satisfaction to the reader, as Shockley has a much broader, freer and thorough approach at discussing the physics of semiconductors. From the technological point of view, the book in question doesn't seem very useful. It works on some fundamentals but, again, it will only get your lips wet but thirsty. Still, I think Sze tried to cover the bases in a field that is in explosive development such as semiconductor technology. From both points of view - physics and technology - the book feels a lot like a teaser for Sze's masterpiece, "Physics of Semiconductor Devices" (2nd edition), which is a book I would wholeheartedly recommend without reservations. And herein lies the reason why I gave this ("Semiconductor Devices") book only three stars: if I give 5 stars to "Physics of Semiconductor Devices" by the same author, then the object of this review deserves 3. Seeing as though the price of both books is almost the same, this should at least make you think for a moment. 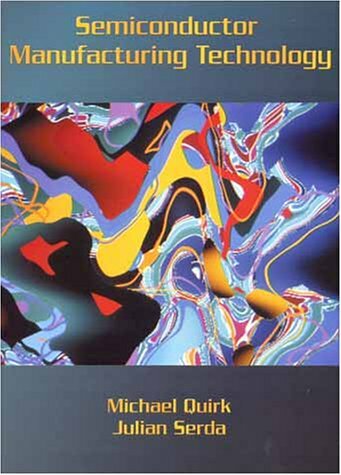 As a undergrad electrical engineering student I found this book a horrible choice for an introductory level semiconductor class.As another reviewer mentioned, the example problems (the most important part of any textbook) are few and far between.Most of the book is filled with equations and derivations that are overwhelming and confusing.Clearly the author is well versed in the physics of semiconductor devices; however, the presentation of the information leaves any student reader overwhelmed.Maybe this book makes a handy reference, but only after you have been exposed to the material.As for me, I'll be replacing S.M. Sze's "Semiconductor Devices Physics and Technology" 2nd Ed with something that makes more sense for a student. I found it quite good, there are some things better treated in the last version. The bible of semiconductor intended for under-/graduate students or as reference for advance scientist is the market of the author. The book consists of basic band gap explanation and carrier transport phenomena going through almost all exploited devices applied nowadays. Beside that, the technology starting form epitaxial growth until the etching mechanism is enclosed here. Moreover, the need of equation derivation is also appended herein since the author tries to explain them in deep. Some devices,e.g BARITT, TRAPATT are not explained here. The photonic device are coped in a concise clear way including the solar cell. 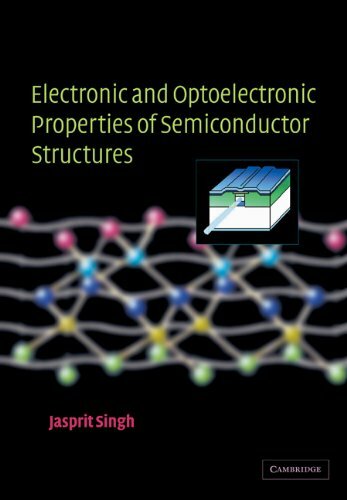 This comprehensive textbook and reference covers all phenomena involving light in semiconductors, emphasizing modern applications in semiconductor lasers, electroluminescence, photodetectors, photoconductors, photoemitters, polarization effects, absorption spectroscopy, radiative transfers and reflectance modulatons. With numerous problems. 339 illustrations. A very elegant, eloquent text on its subject. Explains the major physical processes very clearly, without drowning you in tons of mathematics. 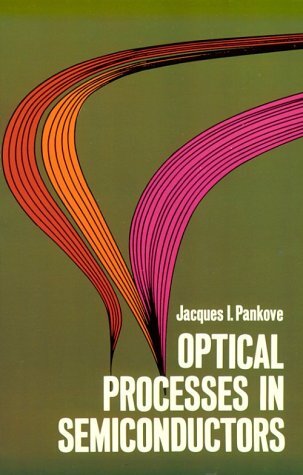 The sheer clarity of Pankove's exposition is the greatest appeal of this book. After reading this, you may wish to go onto heftier tomes that delve into greater detail. But consider starting here. Fabless Semiconductor Implementation takes you step-by-step through the challenges faced by fabless firms in the development of integrated circuits. This expert guide examines the potential pitfalls of IC implementation in the rapidly growing fabless segment of the semiconductor industryand elaborates how to overcome these difficulties. It provides a comprehensive overview of the issues that executives and technical professionals encounter at fabless companies. Filled with over 150 on-target illustrations, this business-building tool presents a clear picture of the entire lifecycle of a fabless enterprise, describing how to envision and execute fabless IC implementation. In this well written book the author, Rakesh Kumar, shares his 35 years of experience in the semiconductor industry. 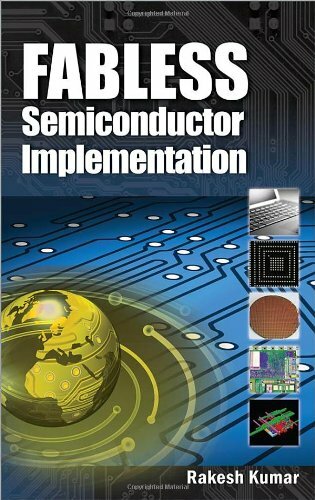 The book presents a comprehensive overview of the fabless semiconductor technology in an easy to read fashion. The book includes an overall picture of the dynamics of the semiconductor industry as well as a detailed, step-by-step discussion of what is involved in launching a new product as a fabless company. It takes the reader through the lifecycle of a fabless company and points out the challenges and pitfalls of developing a new IC. The book covers the various implementation options and technology choices. It emphasizes the importance of dealing with customers and suppliers and sharing a long term roadmap with them.There is also extensive coverage of unit and development cost, quality and other operational issues. Although the book focuses on starting a successful fabless company, many of the issues discussed apply to IDMs and fab-lite companies as well.The book also includes illuminating testimonials of leaders in the semiconductor industry to illustrate the points the author makes in the book. I have been using this book in a class I am teaching at the University of Pennsylvania on the "Dynamics of the Semiconductor Industry".The course is part of our Executive Masters of Technology Management program which offers an MSE in Engineering, and is co-sponsored by our Wharton Business School. The comprehensive nature of this book makes it an ideal reading for the class, and provides a context against which to teach. It brings together business and technology considerations in a well explained fashion.The book is a must-read for semiconductor design engineers, non-engineering personnel associated with the industry as well as aspiring entrepreneurs. Dr. Kumar's "Fabless Semiconductor Implementation" is a well written, up to date reference guide for modern custom silicon.The layout is excellent, and the book reads & flows well.Also, I couldn't find a single area that Dr. Kumar fails to address.The book is applicable for a wide range of people from the "smart but inexperienced in silicon" engineer, to the silicon expert seeking a comprehensive reference manual.Lastly, I believe this book is perfect for executives who have silicon groups under them, but have not grown up through the silicon ranks.Highly recommended fabless silicon primer. NOT "real men have fabs"
Kumar explains much about the problems of starting up and running a fabless company. He addresses a reader who might or should already have an idea about a niche in chip or system design currently unaddressed by the marketplace. He explains the ecosystem of the semiconductor industry, and where fabless companies fit in. By now , there are several fabs throughout the world that can take your design tapeouts and instantiate them in silicon. The text goes through ways to attract funding. Starting with the proverbial friends and family. Then angel investors. Followed by Series A, B etc. All the way to an IPO or perhaps being bought out by a larger, established chip firm. For an American startup, another source of funding is the US government. Through its Small Business Innovative Research grants. Or by contracts with various other federal agencies or departments. Kumar does warn of one danger. You might get success in attracting contracts. But you need to later avoid a sole dependence on these. Otherwise you will never get big; always remaining essentially a research arm of the government. Dr. Kumar's recently released book presents a marvelous compendium of current information gleaned from years of experience and success in the fabless arena.Whether this is your first or your fiftieth fabless company; whether you are an executive managing an existing fabless operation, a technical professional designing the next great semiconductor product, or an entrepreneur compiling a business plan for a new fabless company; the information in this book will prove invaluable to your success. The Book was not delivered to Me and I had to wait for almost 1 month expecting it to come but without any use.But I am happy with the Amazon.com because they refunded the amount immediately when I complained about this. Complicated material written in a very concise manner. On a quick scan at first the material covered in this book appears intimidating. It covers concepts of quantum physics like Schrödinger equation; Blotch theorem;Kronig-Penney model; Brillouin zones and then covers the semiconductor physics as Fermi levels; carrier transportation. The book covers a lot of fairly complicated material in a very concise and explanatory manner.Just by the sheer difficulty of the material; I would suggest taking a course to help alleviate the pain of self-tutoring. Very nice book. I especially liked the manner in which minimal essentials of solid-state physics was covered. In a short time you can get to know quite a bit of basic essentials of solid-state that a semiconductor device engr needs to know. 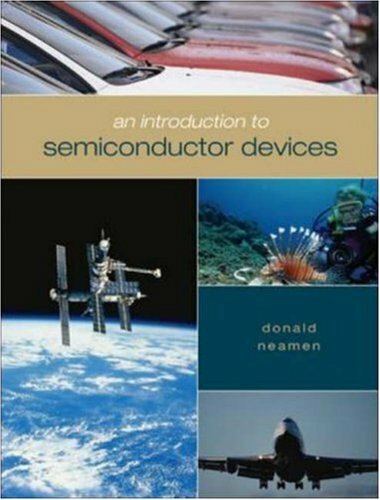 An Introduction to Semiconductor Devices by Donald Neamen provides an understanding of the characteristics, operations and limitations of semiconductor devices.In order to provide this understanding, the book brings together the fundamental physics of the semiconductor material and the semiconductor device physics. This new text provides an accessible and modern presentation of material.Quantum mechanic material is minimal, and the most advanced material is designated with an icon.This modern approach meands that coverage of the MOS transistor preceeds the material on the bipolar transitor, which reflects the dominance of MOS technology in today's world. The book is an up to date introduction to the understanding of current semiconductor devices and their manufacture. Perhaps the best sign of this is the correct emphasis on describing the Metal Oxide Semiconductor (MOS) circuitry. Older texts go into more detail about bipolar technology - the Ebers-Moll model for an npn transistor and all that. But for over 10 years, MOS has been the dominant technology and students should concentrate on getting a clear understanding of it from the book. There is still a description of bipolar, and of the bipolar-MOS amalgam. In this book, Quirk and Serda introduce the terminology, concepts, processes, products, and equipment commonly used in the manufacture of ultra large scale integrated (ULSI) semiconductors. 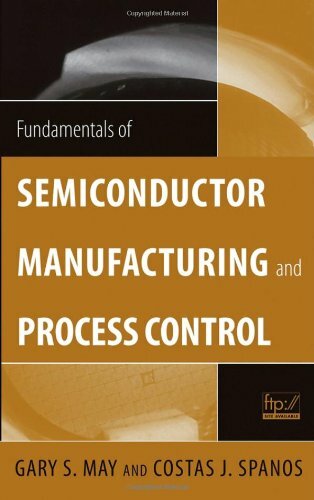 The book provides helpful, up-to-date technical information about semiconductor manufacturing and strikes an effective balance between the process and equipment technology found in wafer fabrications. Topics include copper interconnect; dual damascene additive process for metallization; deep UV sub-micron photolithography (.18 micron and below); low-k dielectric processing; chemical mechanical planarization; a comprehensive model of manufacturing process; chemical-mechanical polish (CMP); and maintenance and troubleshooting. For practicing semiconductor manufacturing technicians or those interested in semiconductor manufacturing technology and processes. This book is written as college course text. It is easy to understand if you have a good techincal background. It does a good job of covering the many different aspects of the difficult subject. Nice book.It helped with my understanding of nano technology.Best if used in conjunction with a class requiring it so the teacher can explain some of the processes better than the book because it is vague on some concepts. I feel the authors have accomplished exactly their stated intent.I have used this text as a Fab Manager to train technicians new and old, and I have used it in academia to instruct students.It is superbly presented and easy for ANYONE to understand.It is worth purchasing for the glossary alone which is an excellent tool in helping the un-indoctrinated sift through the tons of jargon associated with this technology.This book is not for in-depth study of the subjects covered- it just explains the basics very well. Best textbook on the market. This book is well worth the price if you are looking for an understanding of how semiconductors are made.Although it would be useful to have an engineering degree in order to understand all of it, it isn't necessary.The first couple of pages in each chapter are easy to read and as you gain knowlegde, the book simply expands for you.If I have a complaint, it would be that the book doesn't fit easily in my briefcase! Clear, but why so many modules ? more additional steps needed to enlighten some of them). decent book have been a better idea ? 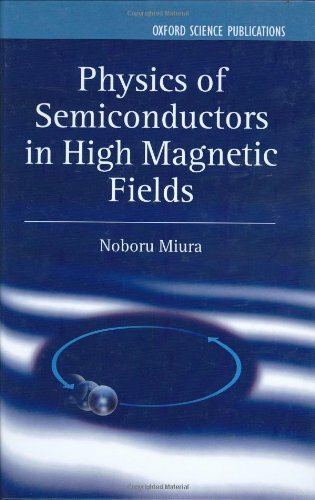 I am a lecturer of semiconductors.my students found this book very suitable. in iran this book is translated in farsi by Dr.Moravej Farshi. The beginning chapters cover the semiconductor processes, and the last half chapters cover fundamental level of Statistical Process Control. Some explanations about the SPC are not sufficient because of the limited pages, compared to books of SPC. However, this book contains a lot of useful tables, and it is a good size to carry around. Thus, I think this is a good book to review SPC and Semiconductor Processes quickly. For those of you working in a fab, or designing processes to be used in it, May gives a good summary of what is generally known and non-proprietary. He explains the key steps in photolithography, wet and dry etching, the different ways to dope, and deposition processes. But along with these steps, every fab needs to monitor them for quality control. So we get discussions of how to measure data about a wafer. Like using inteferometry or ellipsometry to measure the thickness of a deposited thin film. Or using a four point probe for capacitance or resistance measurements. I have no background in semiconductors but the book is simple and easy to understand. A junior at Ohio State, I must admit that this is the least effective textbook I have ever purchased.The majority of the material is in paragraph form, which is difficult to comprehend for readers used to the typical formula, short description, and diagram style.Rarely does the book remind the reader of important material covered previously, which forces the reader to frequently search for information by flipping back and forth to understand the material.This book is also littered with errors.I strongly advise against using this book. If you have no knowledge of semiconductors and you want to learn this is THE book. Currently I am using it for my undergraduate course in semiconductor devices and its explanations and presentation of material is wonderful. I really enjoyed the introductory chapter and supplement on quantum mechanics.It goes through just enough of the shroedinger equation so that you will have a feel for what is going on. 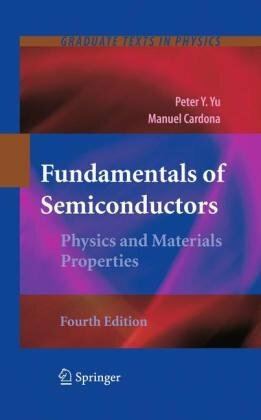 As a junior in college studying semiconductors, I can attest that this book has been enormously helpful in my studies, and much better than the required text. Concepts are presented in a clear way that's easy to understand, with in-depth explanations and many very helpful examples and analogies.There are many well-done diagrams that make visualizing the concepts easier (as would be expected). Semiconductor folks are all very familiar with the eight crises that the authors describe as reshaping the industry (rising design costs, rising fab costs, challenges and limits to Moore's Law, globalization, outsourcing, etc. ).But they will appreciate the well-written and thoughtful analysis that describes the last 20 years of change, challenge, progress, and uncertainty.There is a clear appreciation of the great story that marks the rise of TSMC and fabless chip companies, the relentless pace set by Moore's Law, the global fireworks of national competition, and the ebb and flow of high tech careers.Some very sophisticated and original public policy and workforce insights. This is a great book about the evolution of the semiconductor industry and its development cycles. Brown and Linden prvide fresh insights about the global competitiveness of America. This is an easy read, yet is based on statistics and scientif findings. Brown and Linden provide an insightful economic history of a turbulent industry that shapes much of our daily lives.Their primer on semiconductors was useful and concise.You will come away with a new respect for the toil, risk, and resilience that characterize the chip industry. 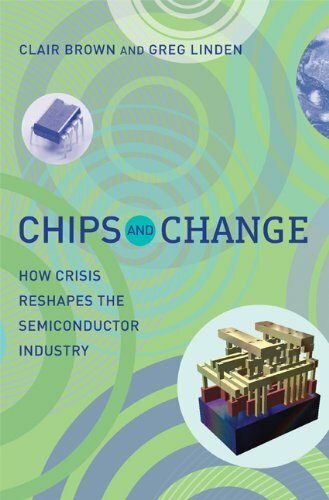 "Chips and Change" provides an excellent overview of the rapidly changing strategic environment in the semiconductor industry, and some sense of where things are headed. Since the 1960s the semiconductor industry has been a driver of global economic growth and social change. Each country involved wants a large, viable semiconductor industry that provides good jobs. The authors use eight technical and managerial crises going back to the mid-1980s to examine the industry from an economic perspective, helping readers understand how global competitive advantage can be won and lost. None of the crises are permanently resolve, invariably rebuilding, often in a new guise (eg. fear of Japan re-emerges as fear of China). In the first crisis, Japanese chip producers raised their share of industry revenues above U.S. producers by the mid-1980s by improving their manufacturing technology thanks to government demanding technology transfers from IBM etc. wanting access to growing Japanese markets, and lower capital costs. Their government also subsidized R&D, promoted cooperation between competitive groups, and protected Japanese markets. Japanese yields (70 - 80%) exceeded U.S. (50 - 60%), and reliability was also higher. American responses included Motorola's Six Sigma program to dramatically improve quality, U.C. Berkeley's establishing best-practice comparative performance benchmarks and the fall of "not-invented-here" attitudes in the industry, lowering the value of the dollar 51% vs. the yen, establishing a research consortium (SEMATECH) that helped chip-makers and suppliers work more closely together, and largely exiting the DRAM memory business due to overcapacity. Intel also ended its "second-sourcing" agreements with other chip-makers, limiting competition, established the principal that the software embedded in the design (microcode) is copyrightable and began challenging threats to its intellectual property, sped up its product development cycle, and began branding its products. Motorola, IBM, and TI waited to exit the market until '97-'98, with only Micron remaining (cut its costs through design). Japan, in turn, lost its DRAM leadership to Korea's Samsung with its greater access to capital, and was further hindered by an overemphasis on quality while the market shifted from long-term mainframe uses to shorter-lived PCs and other consumer goods. Increasing wafer size and decreasing line-width (from two microns in 1980, to .035 micron in 2009 - human hairs are about 100 microns) led to rapidly rising fabrication plant costs - the second crisis reviewed. Costs to build a leading-edge fabrication plant rose from $200 million in 1983 to $5-7 billion by 2007. Costs of developing the process flow also rose - to $2.5 billion. Consolidation was an obvious response, as was the development of independent Asian contract manufacturers that produced chips for other firms. This, in turn, has led to concern over ultimately losing fabrication (and design) skills in the U.S. The third crisis was the inability to design chips that took advantage of the large number of circuits available through new fabrication plants. This was resolved through system-level integration onto a single chip, thus bringing faster operating speeds, lower power consumption, lower costs, the ability to be used in smaller consumer products, and improved reliability. At the same time, the required software (45% of design cost) rose to over 200 person-years for design and test. This led to the reliance on design automation and reusable code cores. Lowering the cost of design to meet consumer end-product requirements (the market moved from mainly PCs to also include cell-phones, etc.) also led to opening design centers in Asia (especially India), and 24-hour design work through passing the work back and forth between India and the U.S. over the Internet. Particularly interesting was the authors' pointing out that cost savings via Asian engineering are not as dramatic as appear - only 25-50% savings, vs. the 80-90% that would appear via salary comparisons. Engineers in China and India, and to a lesser extent Taiwan, are younger with less experience and often only two-year degrees. They also often don't get trained on automated chip design. On the other hand, based on Samsung's experience in taking only ten years to move up the DRAM memory technology chain beginning in 1981, the authors envision Asian engineer parity with the U.S. in 10+ years. Meanwhile, the number of U.S. chip engineers has stagnated/fallen, and may already have been overtaken by those in Asia. A related concern is that outsourcing leading-edge fabrication plants to Asia and Europe will lead to outsourcing chip design as well. The authors sort of go round in circles on this issue, eventually concluding that this negative outcome is likely. Some of the solutions contain extensionst via discussions about topics of current interest in the field of semiconductor physics, such as spin-orbit coupling and k-linear band dispersion. The third edition is out of print. The fourth edition, with 775 pages, has just appeared. The book has been updated, many references to recent developments, additional problems and their solutions have been added. The price has remained almost the same!The book should serve as a textbook for a course on semiconductor physics. The authors hope it will be as well received as the previous editions and reprints. I didn't get very far with this book, as it is well beyond my level of familiarity.It is very math intensive, and requires a sound foundation in the topic.I'm not too sure I understand why it's called "Fundamentals of Semiconductors", I might suggest "A Very Intense Treatment of Semiconductors".This is probably a valuable reference for the clever. This book is an excellent reference book on semiconductors in general. 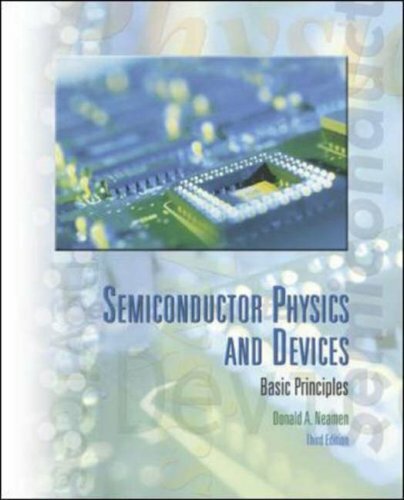 The physics behind semiconductor theory is discussed very well, however, if you are looking for a book regarding semiconductor devices or electronics, this is not what you are looking for. One advantage of this book is that it contains a fairly large section for "group theory", if you are using it in your studies. Electronic, transport and especially optical properties of semiconductors are mentioned very extensively and clearly. There is also a whole chapter on photoemission, which is very useful. The concept of quantum confinement is addressed independently with illustrative examples. If you are interested in semiconductors and want to buy "one" book which you can use and consult all the time, this is the book you need. The authors are some of the best in the World on semiconductors. I'm a Ph.D on physics, I read this book from page to page and worked out the problems. 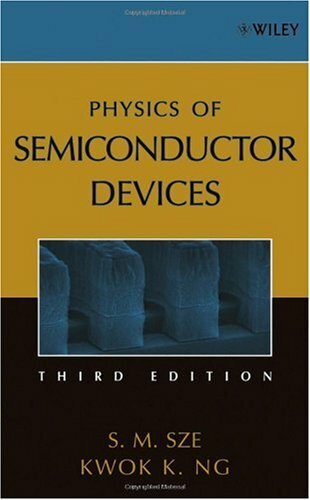 This is an excellent book on the physics of semiconductors, NOT on semiconductor devices! The text is well written. The physical concept is clearly explained, mostly with a diagram or a graph. The formulae are carefully deducted without wasting too much time and space. I must add a few words on the problems. From all the physics textbooks I've read, only Claude Cohen-Tannoudji's Quantum Mechanics book is comparable. Those problems usually are about the the formulae, such as k.p. perturbation method and Luttinger Hamiltonian, etc., appeared in the main text but its detail is not appropriate there. The problems are by no means easy. Actually, some of them are really hard. For example, it took me a lot of time to work out the 6 by 6 k.p. perturbation matrix! In the process of working out those problems, I had a better understanding on the computational physics. You don't see that in a normal textbook! The references are the classical or landstone papers about a specific subject, very good for further research. In summary, this is an excellent textbook, if you want to study it hard.